As the demand for healthy food grows, nutrition store websites grow like a weed! Do you know! Views of nutrition-related videos are above 23 billion. Nutrition diets like veganism and gluten-free are seeing 100%+ record growth in the search. If you are a nutrition and holistic health lover and wondering to create your own nutrition store website…Then you have landed on the correct page. Here we are covering the list of 5+ Best Nutrition Store WordPress Themes that let you make money in the holistic nutrition field. 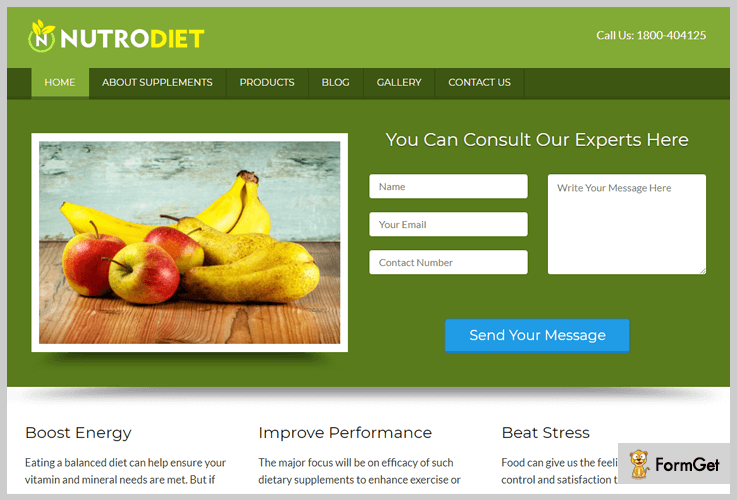 Nutrition Store WordPress Templates let you create an audience of nutrition lovers by providing inbuilt WooCommerce platform to sell nutrition supplements (i.e. shop, cart, checkout), powerful PayPal payment gateway, lead capture plugins to connect with nutrition enthusiasts, beautiful sliders and video section to share dietary tips and there are many inexplicable features to write. 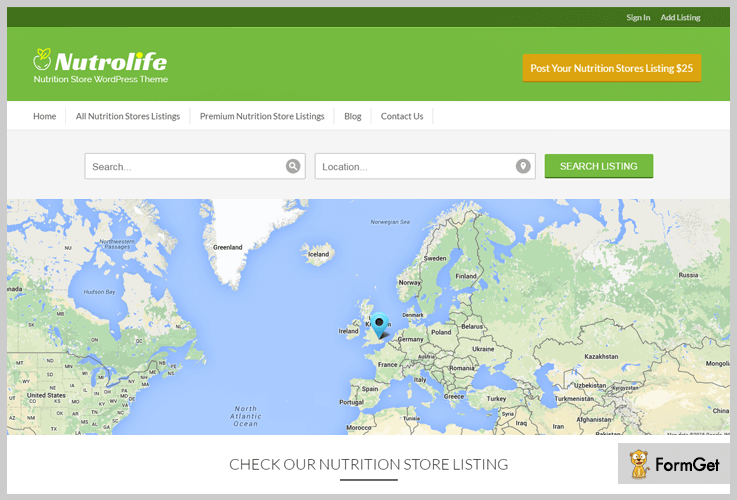 The template Nutrolife has geolocation search bar on its homepage. The website visitors can get the address of local nutrition suppliers whenever they will enter their location. You can also advertise the popular nutritional items of your store and promotional banners at the bottom portion of the theme. Moreover, you can also do affiliate business by allowing third party users to post their nutrition business on your website. The best feature of this theme is that it has integrated lead generation form where the name, email address and contact number of potential client’s can be stored for future sales. Grab this beautiful theme at $79. It has inbuilt registration module from where visitors can create their personal profile on your website. You can showcase premium and paid listed business on your homepage at the full featured single business listing. Nutrolife allows to set different payment strategies like recurring and one-time at the registered nutrition packages. The template NutroDiet has the embedded lead generation form at its boxed slider. You can also showcase various nutriment images at the side of lead generation form which gives pleasant look to the eyes. NutroDiet also supports 3 column widgetized footer where you can display the location of your nutrition center through google map. It also has sidebar widgetized area to display recent blog posts and their categories. 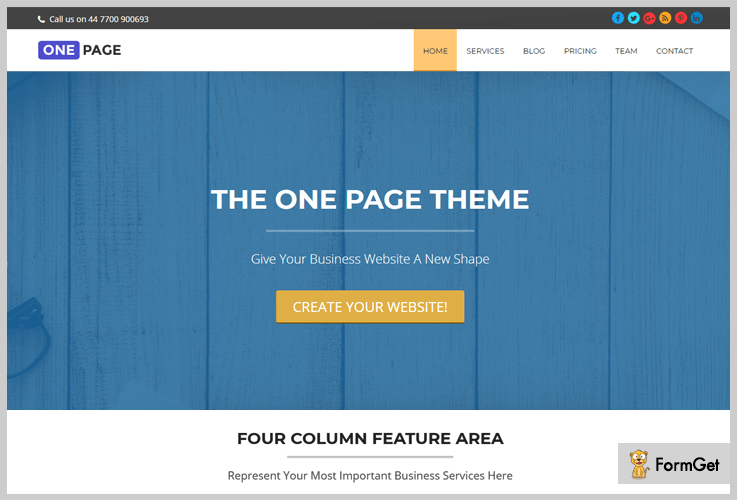 The template supports multiple page templates like blog, about us, homepage, contact us page and gallery. You can purchase NutroDiet at $79. The boxed slider also supports videos. In place of images you can display the nutrition advice videos to the visitors. The template comes with the 9 unique colour schemes. You can add the business logo and favicons to your website. Create your own online nutrition shop with VitaminShop. It is WooCommerce compatible and allows you to display all the nutrition supplements on your website. You can also create the single page product to visualize the detailed description of the subsidiaries. Customers can create their personal account too on your website to track their previously purchased nutrition products. VitaminShop also supports PayPal payment gateway for the easy and secure transaction. 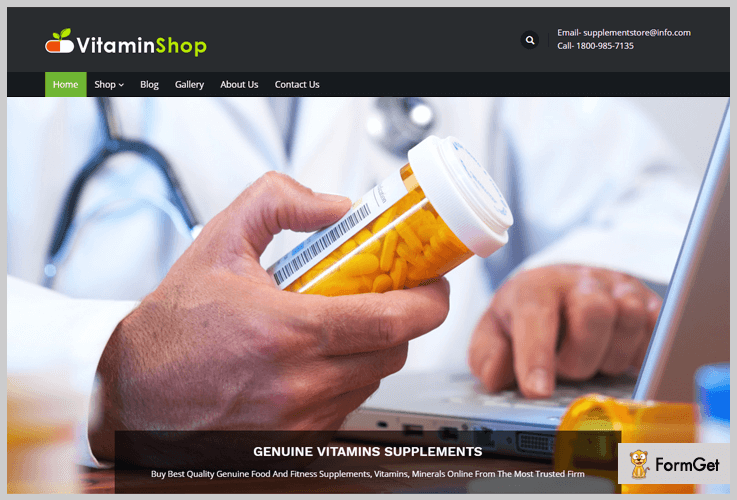 You can buy VitaminShop template at $79 and create your nutrition store website on the go! It has separate banner space where you can display the offers on various vitamin pills. The template has unlimited options to create the most suitable online nutrition store. VitaminShop can list limitless products on your website. 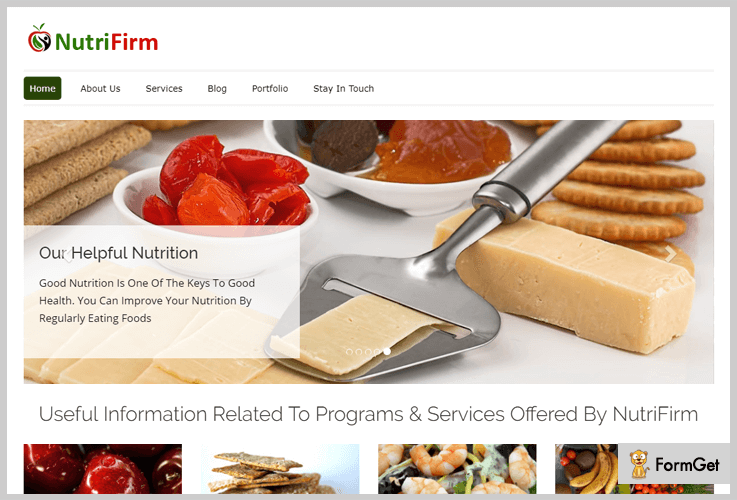 NutriFirm is a agency style nutrition store website template. It is a multi-page website template with five pre-designed web pages i.e about us, portfolio, service section, blogs and contact us page. It has sticky header section for smooth navigation, full width slider with text box, business tagline and 4 column featured section at its homepage. The template has the costing of $79. It has integrated InkLead Capture Pro plugin to capture guests leads. Nutrifirm is SEO optimized to bring your business noticeable. it has testimonial section to share client’s feedback. If you want to create a single page nutrition store WordPress website then you can use this One Page theme. It has 4000+ installations and it is absolutely free of cost. It allows creating nutrition blogs, custom blog posts, service pages and testimonials on the single page template. One Page WordPress theme will provide the smooth navigation on all the PDA devices as it is 100% responsive. It is freely downloadable fromm official WordPress website. You can fully personalize slider setup like its color, text, image, and links. This single page theme also allows displaying videos of nutrition tips by its video section. This freemium template has the stylish hexagonal portfolio section to showcase health care products which provides it with the more sleek layout. Traffica is all in one nutrition store WordPress website template. It has 1000+ installations and one of the best rated freemium template by InkThemes. This template has powerful theme options panel to customize logos and intro texts. Traffica has simple full-width slider where you can add multiple images with description. 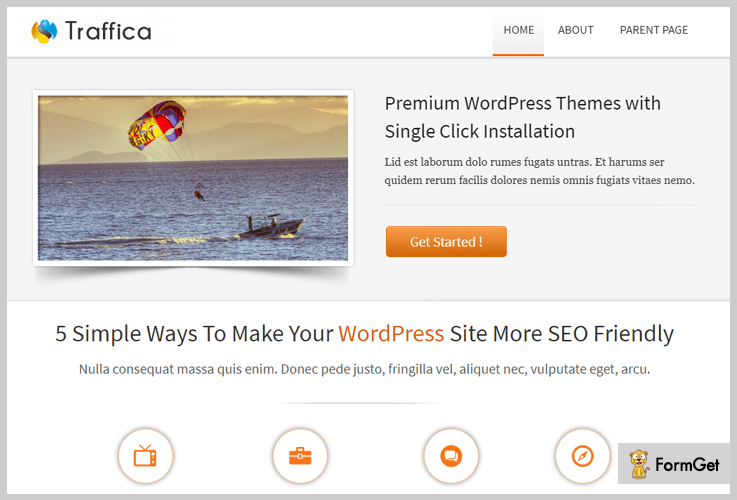 The template Traffica is freely downloadable from the official WordPress website. You can add feature boxes according to your needs by adding a shortcode in the Traffica theme options. It has About Us section to give an overview of your nutrition store website. It also has testimonial section to display your customers opinion about your services. We hope this article has helped you to find the best suitable Nutrition Store WordPress Themes for your website. What questions do you have about starting your own nutrition store website?